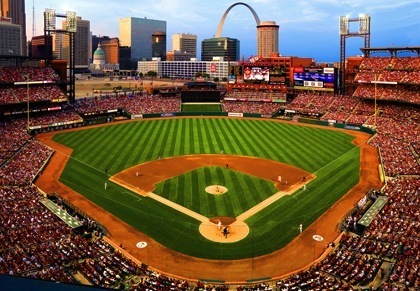 In 2011 the Cardinals will become the newest team to experiment with dynamic ticket pricing software. Teams already price tickets differently based on day of week and opponent, but last season the Astros and Giants started using a software program that raises and lowers unsold ticket prices every day based on factors like weather forecast, number of available seats, and pitching matchups(!). From my perspective, which is that of someone who likes to read books about scientists, this is awesome. Granted, it wouldn’t make much difference to teams that sell out almost all of their games far in advance. But it’s just cool technology, and for most Major League teams dynamic, daily-adjusted pricing could create value for both fans and the franchise. There’s never a good reason for a seat to be empty when someone outside would like to see the game. Of course, the flipside is that people who can’t pay a lot may be stuck attending lower-quality games, at least if they wait until the last minute to buy tickets. I know purchase prediction models are used in many industries, but I’m really curious about the baseball manifestation. Is the model in Houston significantly different than the model in San Francisco? The interplay between weather, traffic, ticket price, throwback uni day, competing entertainment options, etc., and ballgame attendance must be different in different cities. I also wonder how something like NERD score would do at projecting demand for baseball tickets. Modest recommendation for Cardinals president Bill DeWitt III’s press officer: When next your leader is rolling out a new service model to fans, it may not be optimal to volunteer an analogy between that initiative and the airline industry. We hoped you liked reading “Smart” Ticket Pricing Catching On by Leo Martin!